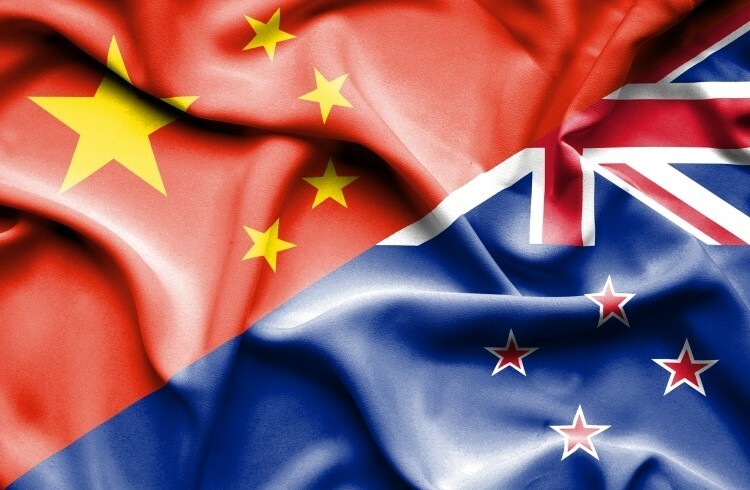 The current plan for China's Yili to buy Westland Co-operative Dairy has brought renewed discussion about the role of China within New Zealand agrifood industries. Of course, the Westland issue is just one part of a much greater issue about the trading and political relationships linking our two countries. The starting point is to recognise that China is easily New Zealand’s biggest agrifood destination. And every year it continues to grow. There is a fundamental logic behind why this is happening. It starts with the ongoing growth in the Chinese economy, combined with the shift in that economy from saving to consumption. Yes, in percentage terms China’s growth is now only around 6.5% per annum, which is much less than the 10% per annum for most of the last fifty years. But in absolute terms the economy is now growing faster than it was ten years ago. China is self-sufficient in grains for its human population and this is a fundamental principle of national security. However, China cannot produce the plant-based foods needed by animal agriculture. So, China has to import a lot of feed for pigs and dairy. It also makes economic sense for China to import some animal products rather than trying to produce them itself from imported feed. The only catch from a Chinese perspective is the need to ensure stable supply lines from trustworthy partners. They need partners who will not play political games with them. There is of course an irony there. New Zealand also needs partners who do not play power games with them. Is China one such country or not? There is no clear answer and so many New Zealanders are very worried about our dependence on China. There is a widespread concern that China will undermine our democratic systems. This will undoubtedly be the focus of ongoing debate. China is authoritarian. No argument about that. It is also a country of censorship. When in China, I find the internet restrictions frustrating, but there are workarounds whereby those ‘in the know’ can navigate through the firewall. But yes, compared to Russia for example, which I find relatively open, China is very authoritarian. I have no doubt that China does its share of spying. Every country does that. Unfortunately, it is the way of the world. We are ourselves part of ‘Five Eyes’ which has its own spy focus on China. I find it interesting that China does not try to tell us how we should run our society. However, we have a tendency to try and tell the Chinese how they should run their society. I have myself been fortunate to spend significant time in China, with visits going back 46 years to 1973. I have been able to travel and work in regions that foreigners seldom visit. I have three overarching ‘take-aways’ about China. The first is the pace of change – the China you saw last year is already different this year. The second is that once over there, things can seem quite different to what we read in the media. The third is that as Westerners there is much about China we will never understand. On reflection there is a fourth take-away. There are lots of so-called China experts who do not appreciate how little they themselves know. Unfortunately, their clients do not realise this either. China is sufficiently complex that I don’t think Chinese themselves really understand their country. So, let’s now look at the Kiwi side of our agrifood systems. We are blessed with some great natural resources for food production and we have learned to produce some food products with great efficiency. Stand-outs are meat, dairy, kiwifruit ad wine. We are also very good at processing and associated quality assurance. However, some of our processing industries have always had a heavy foreign influence. We are good at marketing commodities and some ingredients but have a poor record when it comes to consumer products. There are marketing exceptions, with wine being a great success as a consumer-branded product. However, our wine industry is predominantly foreign-owned and managed. So that leaves kiwifruit as the outstanding NZ-owned and managed example. The key issue there is that plant-variety rights for Sungold allow New Zealand to own both the brand and the category. Other products are typically much more difficult to differentiate than Zespri’s kiwifruit. The other outstanding example is A2 Milk which is the largest company of any type on the NZX. By value it has close to 50% greater market value than Fonterra, and far ahead of all non agrifood companies. It is a genuine consumer-focused company. However, although A2 milk has its head office in New Zealand, all of the senior officials and all of the intellectual grunt are offshore. Most of the capital is also now owned offshore, with most shares traded on the Australian stock exchange. We really did let that one go! Quite simply, we did not get the A2 vision and we did not invest the capital. As an A2 believer since 2003, I remain frustrated at the path New Zealanders collectively chose. I often read commentators saying we need to diversify away from China and find new markets. The problem is that no-one apart from India is growing like China. And good luck to those who think India is an easy market. The irony is that in dairy, wine and meat, it is the foreigners who have found New Zealand rather than vice versa. Most of our products are sold FOB at portside in New Zealand. It is others who develop the markets. There is an additional problem that there is a lack of equity capital in New Zealand to drive the market development process. We invest in farms but we don’t like spending our own money on market development. And when we do, it often goes wrong. If we do want to develop overseas markets then kiwifruit and A2 Milk have to be the outstanding cases to study. So, what is the path ahead? I have not given that path here, but I will say that each product category has its own unique specifics and therefore its own path. What I have tried to do here is provide some basics on which any debate has to be conducted. If people think there are simple answers to any of these issues then they are wrong. As for a future without China as a major market, I shudder to think what that would mean. 2. China's political system will evolve towards Singapore's model, where the party legitimacy is from meritocracy. 3. The Belt and Road Initiative will be successful, resulting the economic development of many countries along this line. And, as a consequence, the diplomatic relationship between China and these countries will be closer than ever. NZ can also learn a lot from the recent deterioration in the diplomatic relationship between Canada and China. The bottom line is crystal clear -- do not be the US's lap dog. There are issues that NZ should never test with China - South China Sea, Tibet, XinJiang, Taiwan because they are domestic issues, and of national sovereignty and supported by 1.4 billion Chinese. I can see NZ will benefit hugely in the next three decades from China's and Euro-Asia's further development and integration. We shall see what transpires in the future in terms of your first two predictions. Your third comment and your veiled threat in regards to Canada's recent export difficulties to China, infers that in order to do business with China one needs to be in a country that is China's lapdog. Otherwise they can and will refuse imports for specious reasons when it suits political purposes (NZ has already seen this happen in recent years). For this single reason, NZ business should be very wary of doing business with China, and make every effort to expand imports towards countries less authoritarian and that have less capricious changes in regards to trade rules or inspection. Perhaps there is a path that is not anyone's lapdog. A CEO of a major company that relies on China for its markets said to me once that one of the great things about dealing with China was that they had never done anything affecting his business without flagging that action well in advance. Similarly, with political actions the initial messaging is always very subtle, giving room for solving the problem without anyone losing face. Sometimes the early messaging is so subtle that Kiwis don't understand it. In contrast we have a remarkably open FTA with China and the goods do flow as evidenced by the remarkable growth in trade that has occurred. In relation to Canada, the current friction arises entirely, as I understand it, from Canada arresting a very senior Chinese business leader, at the request of the USA, for allegedly breaking US (not Chinese or UN) sanctions against Iran. Given the eminent position of that business leader, that really was a case of red flag to the bull. It could not be ignored. I think that wise heads in North America will eventually sort out that issue. Hopefully it will not take too long, but with the current US leadership nothing can be presumed. None of that should mean we need to flog off so much of the means of production to the Chinese Communist Party as government of China, such as in Silver Fern Farms and this sale of Westmilk, surely even you can see that. Sorry, but it's like playing darts against someone whose oche is within arms length of the board and yours is in the usual position. China threatening other countries and trying to claim bloody near all of the ocean is of absolutely international importance. I do not think we should stand by while China heavies everything around them and destroys the environment in the process. You don't get a free pass from that, and your trying to sound like a dictator yourself does little, if anything, to enhance bonhomie from others. Ii would take political support with a grain of salt in an authoritarian state, that controls what people get to see and hear. You have been watching too much US propaganda. Do you even know the history of South China sea issues, which are the countries involved, and what have been done to the South China Sea Accord? IT is NOT your but many others business so better stay out of it. Of course, China wishes everyone to pretend it isn't so. Do not resist the new imperial ambitions! Here is the actual Court ruling. Some fun reading, that! It appears that imperialism isn't limited to only western countries... but we shouldn't think or say anything negative about Chinese activities as we may want to export to them. You will note that there was no Chinese representation. They didn't even get to hear their side of the story. Sure China refused to co-operate. But continuing without their co-operation was only going to result in one side of the story being judged. I don't read any US propaganda. In reply to both comments, it is important to focus on what we should do as well as what we should not do. Taking Westland Milk as an example, what would you recommend given the dire financial situation they have got themselves into? Yes, China has made moves in relation to the South China Sea but your reference to 'trying to claim nearly all of the ocean' would seem to be an exaggeration. As someone else once said, it was very stupid of China to place their country so close to all of those American bases. I trust you recognise the irony therein. In the 1960s, China shifted much of their central government to Xian in effort to maximise the distance from both Russian and American missiles. As to the reference that I am 'trying to sound like a dictator', you have misinterpreted. My aim is that we all have a constructive and informed debate. Ad hominems do not actually promote that debate. Which countries do you consider China to be threatening? Imperial ambitions are not equal to domestic issues. Simply rebranding efforts doesn't change reality. Until these things change, we will continue to see our innovations being bought out by foreigners who actually have vision (see A2, Xero, Rocket Lab etc etc). Unfortunately kiwis also elect officials that are almost exclusively like them. Hence the government has no vision as well. The above is why NZ is in a productivity recession for the last decade, which everybody should be distressed about, but nobody actually cares about. Add to this, we are becoming a land owning class based society with a more extremist American style identity politics. Kiwis have for far too long been struggling week to week to keep an overpriced roof over their heads to have anything left over for investments. Perhaps A2 was a goodie for some kiwisaver fund. The Superannuation Fund held a significant parcel for quite some time. But they sold several years ago just before the prices took off. Uncertainty about the investment environment over the long term. The current CGT debacle is a classic example. Political direction of such investable pools as do get created: the Muldoon super fund demolition 40 years ago, the current efforts to steer NZSF into boondoggles like Awkland tram infrastructure, the Provincial Buy NZF Votes - oops wrongspeak alert, meant to say - Growth Fund which directs $3 billion into sink-holes of corruption, and so on. As you note, housing has attracted all the money because it's been the easy money investment. The current government is at least addressing some of that imbalance, an imbalance that is a core antecedent of NZ's low productivity growth (through discouraging money out of productive business investment). Bobbles is right. The answer is in the mirror & it is not very flattering. We have collectively let ourselves down as individuals & as a nation during my lifetime. As a boomer I need to own my fair share of that. We think we know everything but we do not. Persistent offshore business failures over the last 40 years are a testament to this. Our isolation is a plus & a minus. I learnt this very early on but not here in NZ obviously. NZ Inc is a wonderful little country but most people do not really appreciate how good it really is, especially for a small isolated nation. We now have 40% of us on welfare, which is the cancer of a democracy, & more to come. I've said it before & I'll say it again (sadly).... this doesn't end well. 4 Disastrous management in our larger businesses - eg Fonterra, BNZ, Air NZ, Fletcher Building, etc etc. In summary, we don't deserve any better. Sadly. They think long term in EVERYTHING they do. Why? The government knows it will be in power for ever. So plans 10/20/50 years out. The short termism affecting Western policy is something else we should be up in arms about, but don't seem to care. I lived in China for a number of years. We should learn from them, but our failure to do so means China will soon be far more advanced than us. China claims to be a "developing country" when it suits them, but the reality is they are already an advanced economy (decent healthcare being the last bridge they need to cross). In many ways, particularly with technology, they are already far in advance (near cashless society, social credit system etc). The last few years has seen a shift from China stealing high tech ideas from the West, to the West looking to China for high tech ideas. This is as a result of real long term thinking from the Chinese government and the conservatism spreading through the West that limits our ability to make real changes. Mark my words, in 10 years time, China will be the high tech world leader as the West suffers conservative paralysis, grappling with privacy issues and political identitarianism, while the Chinese government actively funds and implements high tech industries. We will still be able to sell them food for the foreseeable future, but we need to constantly improve our agriculture as China looks for better and better quality as their population gets richer. If we fail to continuously improve our food systems, we won't be selling to them as other countries will step up.